Her father failed in his mission to take control from the Commander, a defeat that has cost Jade her life. She will die as punishment. Now she belongs to the Commander’s son—as his wife. Knowing his intent is to quietly kill her in revenge, Jade’s every move is calculated to survive—until she learns her death ensures the safety of her father and her entire town. Roan doesn’t want to kill Jade, but once his family isolates her from her father and community, his only choice is to go through with the plan. Jade doesn’t make it easy as she tries to sway him into falling for her. Each misstep makes him question his cause. Each moment makes every decision harder, but the Commander won’t allow him to fail. One chooses life. One chooses death. In the midst of the chaos, only one will succeed. All the while I read this book I thought I knew where it was heading emotionally and storywise, but I was wrong. In fact, the entire story was one emotional rollercoaster. Jade and Roan constantly lead this clever tango as the book goes on and you’re never quite sure where it is going to end, good note or a bad note? K.M. Robinson is no stranger to tormenting her readers and so it kept me holding my breath, is she going to kill someone?! MY favorite someone, or my heart’s someone?! Jaded is a character driven story and so while you don’t see a vast world you do get to see these two characters grow together and of course suffer. The world and circumstance do take a toll on them and we are able to see how, why, and what comes of it all. This is a different kind of dystopian novel, where the heroine doesn’t charge after the corrupt government head on, instead, she allows the others to work from the outside and she is to determined to be a thorn in the side of her new husband and father in law. She knows they are going to kill her but she wants to make it the most difficult process and she does. Boy does she. The supporting characters are gems, especially Mr. Eroh. 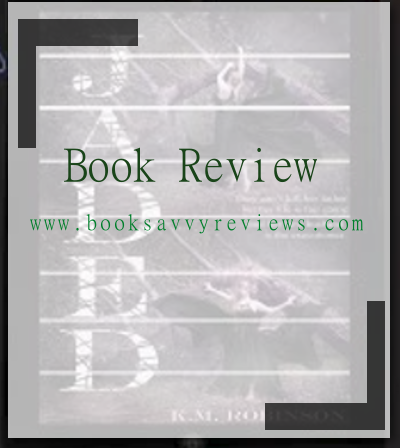 There were a few things that I wished I saw more of – the ministrations of the Command [government,] as well as the Commander himself, but it was still a fast, engaging read. You never knew what note it would end on. Jaded left me breathless until the last page. So if you’re game for a dystopian, character driven read, shelf this! List your all time favorite dystopian reads! I love character driven books. 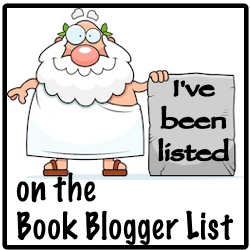 I’ve just added it to my TBR list – a list which is getting bigger by the day! I feel your pain! My reading list is never ending, the woes of an avid reader! And I’ll check out KM Robinson too!